Cuban migrants waiting in Serbia to enter EU territory have claimed they “had no choice” but to make the trip after then-U.S. President Barack Obama revoked Cubans’ special migration status at the beginning of this year. Speaking from the village of Šiden in Serbia, 51-year-old Fernando Soria said he tried to reach the U.S. from the island on five separate occasions but was repatriated each time, 14ymedio reports. “Because the wet foot, dry foot [policy] no longer exists, I had no choice but to make this trip,” he said — referring to how, previously, Cubans who managed to reach U.S. shores were allowed to stay, while those found at sea were sent back. Soria, who entered Serbia after flying to Moscow, Russia — where Cubans are allowed to travel without a visa — said he seeks the “freedom” that he feels he was denied in his homeland. “Without a work permit in Russia, without money to pay rent, I sold what little I had and bought an air ticket to Montenegro,” he said, following a route which has reportedly been taken by dozens of people from Cuba. Hoping to cross the Croatian border, the 51-year-old admitted he is “scared” living in Serbia, especially of his fellow migrants — who are mostly from the Middle East and North Africa. “This is a very dangerous place, here the rival gangs kill each other and disappear. We are trapped in the middle of nowhere,” he lamented of the situation for Cubans in the camp. “They want us to process the asylum from Serbia, but that is a slow process that leads nowhere. If we could reach [the Croatian capital of] Zagreb we would be granted political asylum by being Cubans,” he speculated. 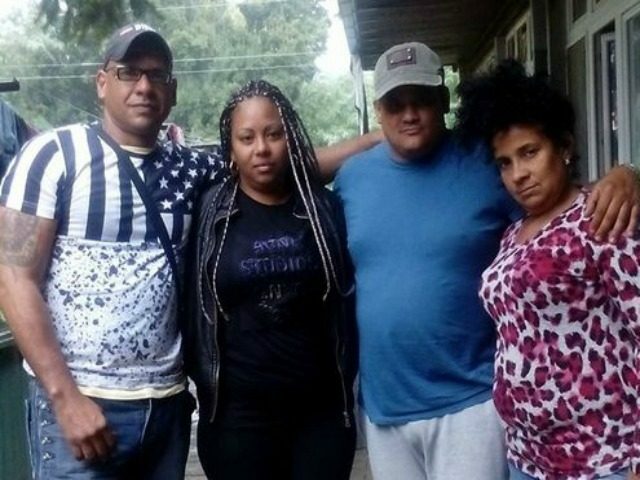 Speaking on condition of anonymity, another Cuban migrant told the Spanish-language news site: “[The Serbian authorities] do not want to let us cross the border because in the end this is a business. Europeans give money to refugee camps and the more refugees there are, the more money the authorities can have. “The only thing we want is to be allowed to get to Spain so that we can continue our lives,” he added. Earlier this year, the UN-affiliated International Organization for Migration (IOM) reported that Cubans living in migrant reception centres in Serbia numbered 168 in January, most of whom want to reach Spain. However, this week the United Nations High Commissioner for Refugees (UNHCR) published the story of Cuban migrants Raúl and Yatser, who are “working hard” in Montenegro, where they have been granted asylum. 31-year-old Raúl, who has been living in Montenegro for almost a year with his wife and two children, has been working in municipal waste collection. “This is a beautiful country and, most importantly, my children can walk freely in the streets and play safely,” he said.